Testifying before the Senate Foreign Relations Committee, US Secretary of State Pompeo said that he will support the bill to hold Russia accountable for its behaviours around the globe. US Secretary of State Mike Pompeo has said that he is committed to working with the Congress on a new Russia sanctions bill after he issued a "Crimea Declaration" that rejected Russia's control of Crimea. 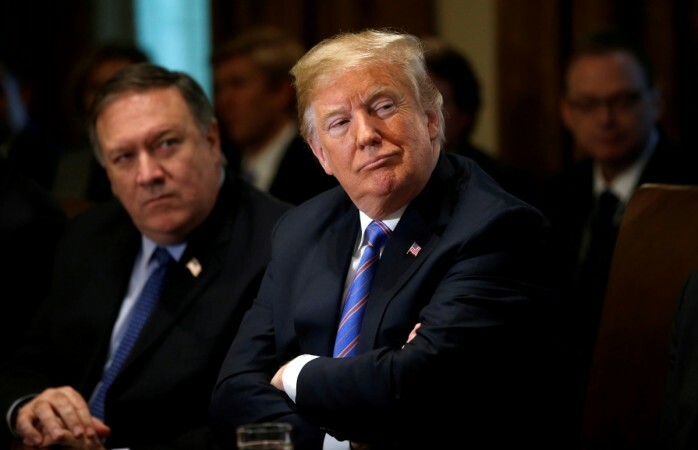 Testifying before the Senate Foreign Relations Committee, Pompeo on Wednesday said that he will support the bill to hold Russia accountable for its behaviours around the globe. He confirmed the necessity to raise the cost of Moscow's alleged malpractice "if we can find the right places and the right leverage point", Xinhua news agency reported. Saying that sanctions focusing more on Russian individuals and oligarchs are necessary, Pompeo noted, "that the things that impact the Russian economy are the things that I hear the Russians are most concerned about." "There will be no relief of Crimea-related sanctions until Russia returns control of the Crimean Peninsula to Ukraine," he said, noting the US stance regarding Crimea is a "policy of nonrecognition". Citing the 213 sanctions on Russian entities and individuals since the Trump administration assumed office, Pompeo said: "With respect to Russia, this administration has been tougher than previous administrations, and I fully expect it will". "The President... will be their toughest enemy, most difficult enemy," he said. The relations between Washington and Moscow have been strained over Ukraine, Syria, Iran, the poison attack of an ex-Russian spy in Britain, and Russia's alleged meddling in US 2016 elections. The two nations' presidents met earlier this month in Finland. 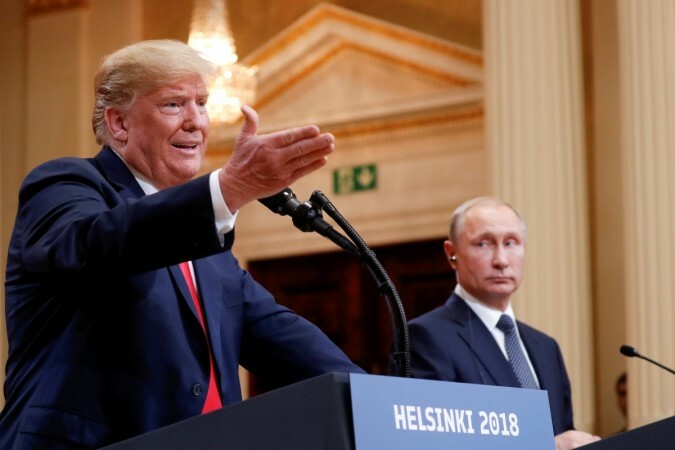 However, due to the wide backlash inside the US over President Donald Trump's remarks there, the White House announced earlier on Wednesday that the next meeting between Trump and his Russian counterpart Vladimir Putin will be delayed till next year. In the Crimea Declaration, Pompeo said "the US reaffirms as policy its refusal to recognize the Kremlin's claims of sovereignty over" Crimea. Russia was expelled from the Group of Eight in 2014 and has since then endured sanctions of the West for its incorporation of Crimea.